An array of Fall color! Perennials and mums can be planted anytime the ground is not frozen. Early blooming spring perennials when planted in the fall benefit greatly from a fall planting. They are able to establish significant roots to them during the cool weather, then they burst out of the ground the following spring. 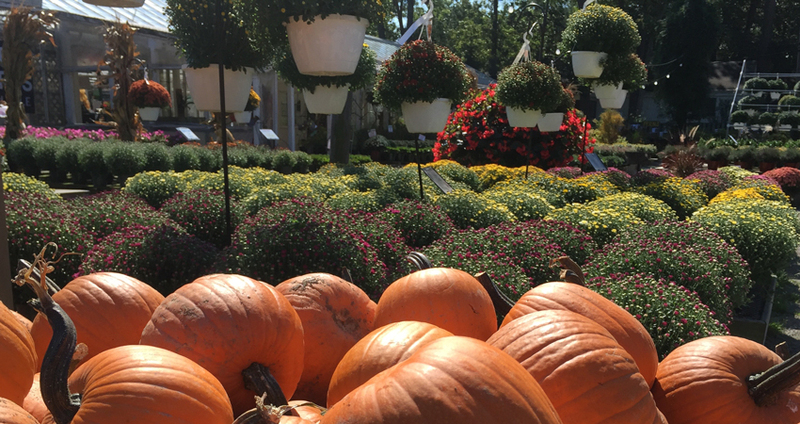 Hardy Asters, Grasses and Mums (the largest selection in the area) are all fall blooming plants that are great to plant in the ground or to enhance your fall display in patio pots. 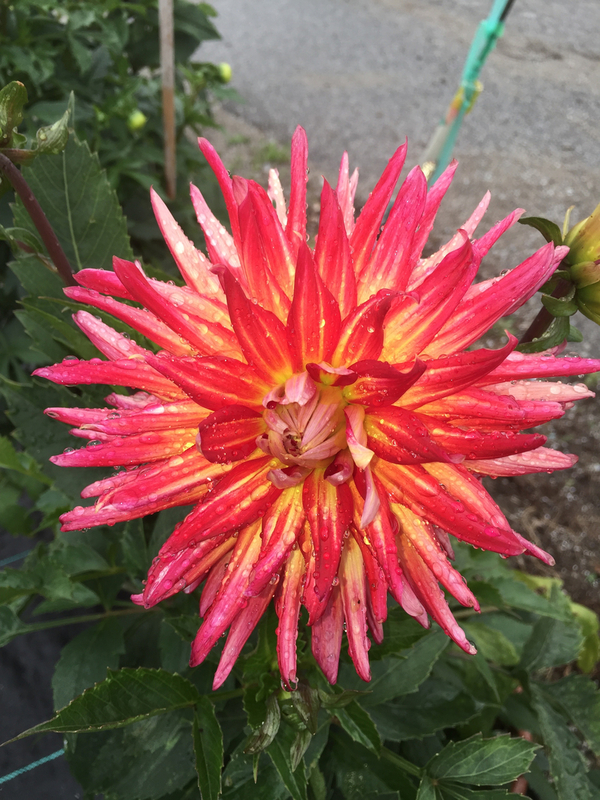 We grow many varieties of plants in different phases, which allows for peak bloom times to differ. Segmenting crops in many small groups offer the gardener color and beauty beyond their expectations. Fall at Whiteford Greenhouse is magical. Along with our amazing plants we have all of your Halloween decor. Pumpkins of all shapes and sizes to those rare unigue gourds and squash. We also offer painted pumpkins which can be special ordered to fit your decorating needs. We love color and textures. Thats why we offer many other Halloween items such as Cornstalks, Ghosts, straw bales and other fascinating decor. 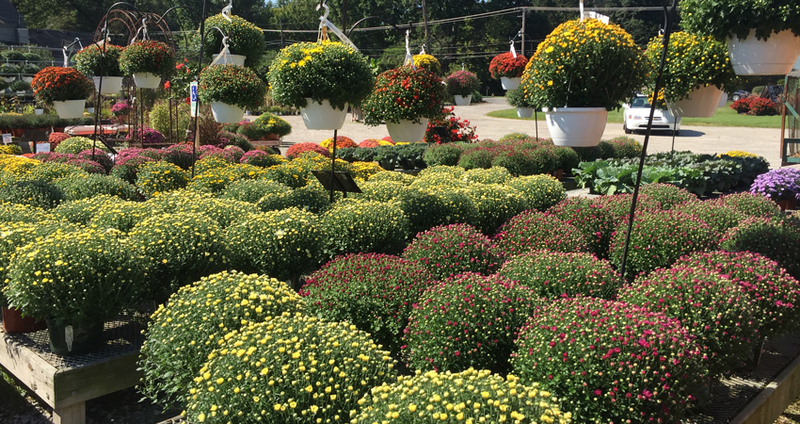 Mums are a fall favorite! They bloom late in the season and there are a great variety of colors to choose from. They are classics for both hardy perennials and planter decor. They are great container plants and can withstand a light frost. You will want to plant or display your Mums in full sun so they get at least 6 hours of sun a day. After you've planted them, make sure to give them a good drink of water. Once established in your garden or container, they will need about an inch of water a week to prevent browning or wilting. They are pretty good at letting you know when they are thirsty. It's best to cut mums back 1/3 to 1/2 their height in mid-June then again in July but no later than Mid-July because it will delay flowers in the fall. Planted in your garden as a perennial, you can divide your Mums every few years. Take a peek at this video by our head perennial grower Eddie Barrow... He demonstrates how to easily divide your perennials.